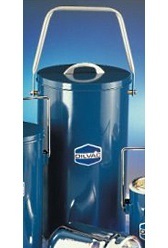 The stainless steel case Dewar flasks are rust-free, non-corrosive, hygienic and strong. Double-walled boroscilicate glass, vacuum pumped and silvered insures efficient storage, transport and use of liquid nitrogen and dry-ice. 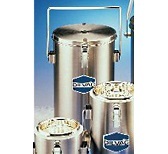 These Dewar Flasks have an all-stainless steel vented lid with self-contained insulation. 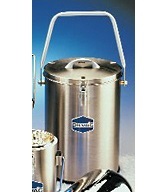 Lid-clamps secure the lid for safe transportation and minimizing spillage. 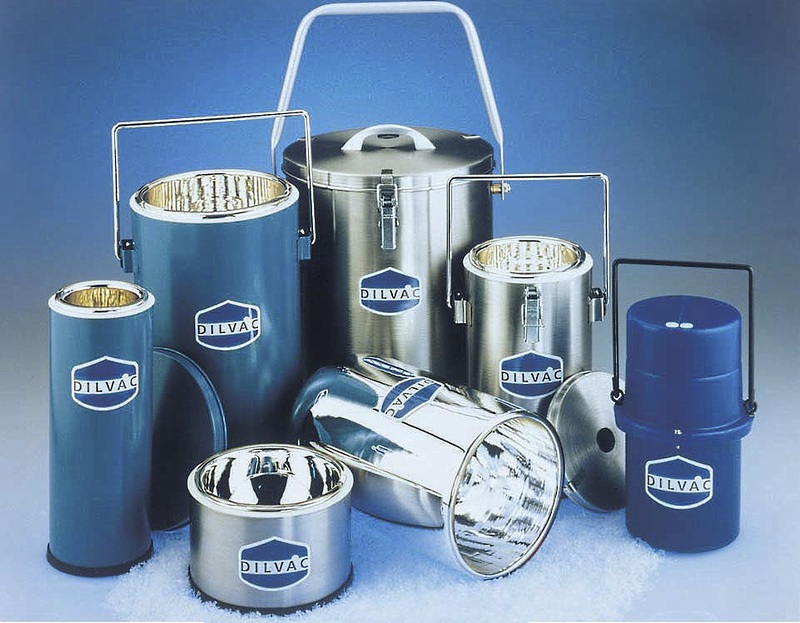 Available in four sizes, up to 7 L.
Blue enameled metal cased economy Dewar flasks are rust and corrosion resistant and have the same double-walled silvered boroscilicate glass. Lid vent safely vents off evaporating gas. 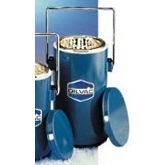 Safe for use with all liquid gases and dry-ice. 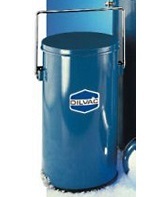 Available in 4 sizes, up to 10 L.